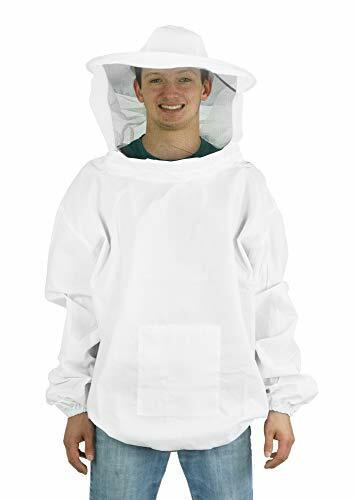 New X-Large beekeeping jacket with veil from VIVO. The lightweight fabric provides protection against stings while keeping you cool. The jacket is machine washable and the hood is hand washable. It is sized to fit comfortably. The hood zips partially off so you can put it back when not in use.